Tired hands from marking hundreds of books and papers? Any teacher would be facing this! If you know a teacher or you are one, this hand cream is going to be a NUMBER ONE item. What we made is to moisturize, pamper your skin, and rich in skin protecting minerals. We begin with a mild jojoba lotion base that has natural jojoba oil which is non greasy yet super moisturizing. Following this, a little banana extract which contains a huge amount of minerals and vitamins for overall skin health, and it works with both dry and oily skin. 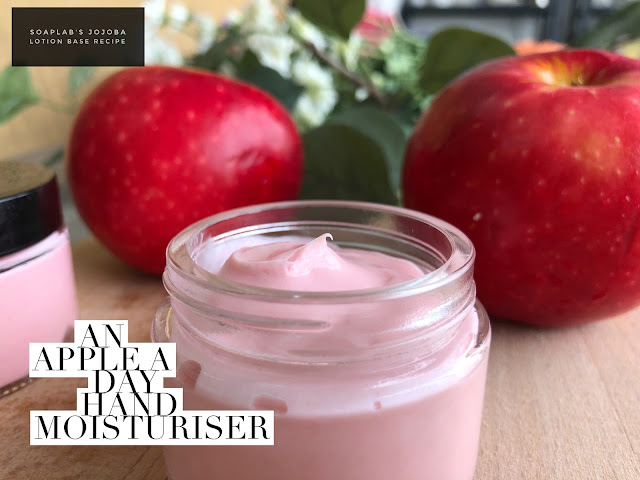 For added benefits, we also use Vitamin E as an anti aging ingredient to ensure that your hands look young and soft even though they are constantly doing a lot of work. Finally, to spice things up just a hint of Irridescent Red color :) Try this and tell us what you think!